Wool rich three piece suit. Available in 3 fits: Slim, Tailored and Standard. 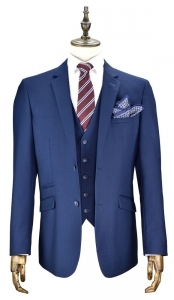 Can be worn with various tie, bow tie, handkerchief and waistcoat combinations. 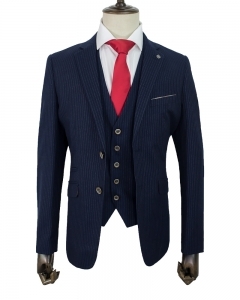 Also available as a 2 piece ( jacket and trousers ), which makes it an ideal business suit.